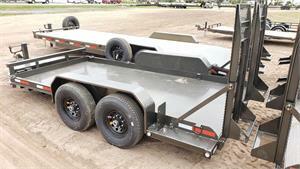 B6X - The B6X Skid Steer Trailer is the lowest of our equipment trailers with a 16" deck height. 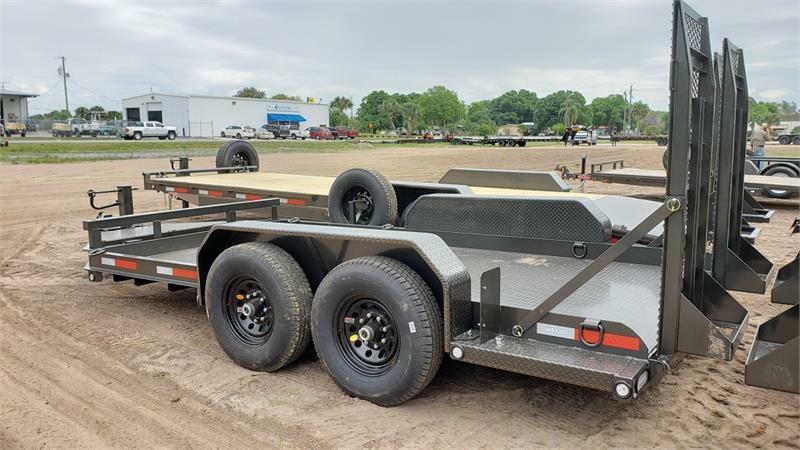 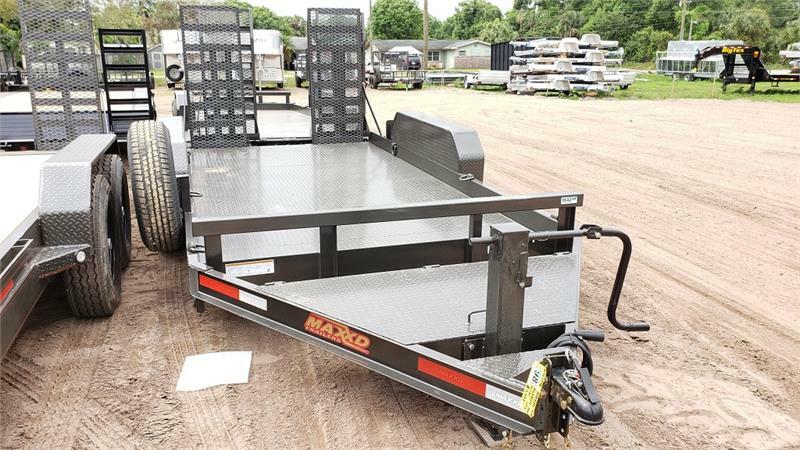 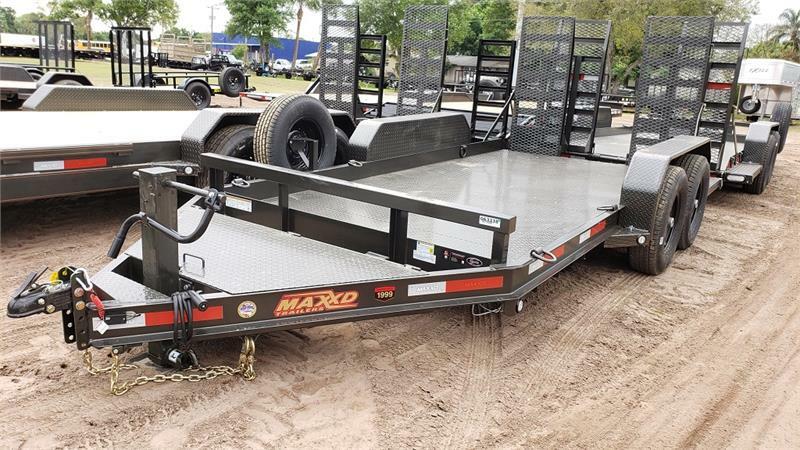 It comes standard with 5' long 24" wide spring loaded stand-up ramps with an expanded metal top to make it possible to also load equipment with small wheels. 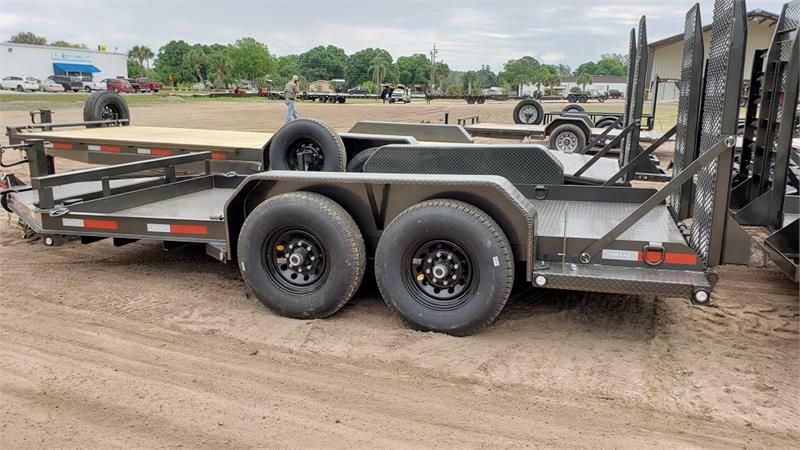 Two 7K Dexter electric brake axles are standard for a 14,000 lb GVWR. 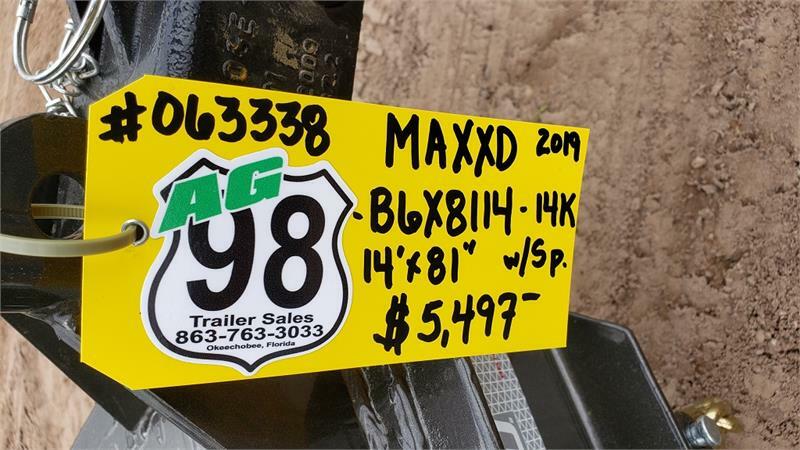 MAXXD Skid Steer Traiilers for Sale in FLorida.